Lansing can be the perfect little town to live in but can also be very hot! Despite our Northern location, summers in Lansing can really take their toll on you if you don’t have a working air conditioner. High’s in the ’90s and averages in the low ’90s during the summer months can become crushing and that is why Cliff’s Heating & Air is here to help. Family Owned – We are a family-run shop with 40 years of AC repair experience. Highly Qualified – All of our technicians are NATE-certified. Ready To Help – We service Lansing and the surrounding areas with prompt service. Nobody has fun when they have to shop for an AC repair due to a broken air conditioner. We’re here to tell you two things: everything is going to be okay and we are here to help. 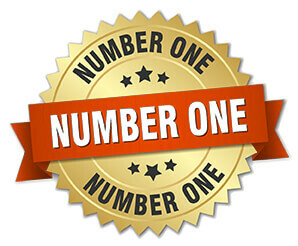 Cliff’s Heating & Air offers award-winning AC service to all of our customers. Our team of highly-trained technicians are ready and available to help at a moments notice. We offer routine repair services and emergency air conditioning repair during inclement weather. At Cliff’s Heating & Air, we service both residential and commercial properties. Our goal is to provide a complete array of services to our customers who are in need. This can sometimes include more exhaustive work like a completely new air conditioning installation. While these projects are bigger, they are no less important and are dealt nothing less than our undivided attention. We work with all makes and models of AC units. We offer a free in-house estimate on new installations. 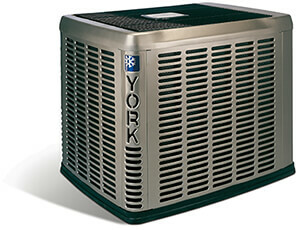 We are partnered with York to provide high-quality AC service systems. Don’t leave your air conditioner hanging during the off-season. By employing proper maintenance and tune-up routines you are going to dramatically increase the lifespan of your cooling system. In fact, maintenance is probably one of the most important services that we offer to all of our customers. With summer around the corner, it’s only a matter of time until you will need your air conditioner on a regular basis. Give us a call today for a free estimate or consultation on any of your air conditioning needs.